Glucagon is a hormone that plays an important role in blood glucose control. Like insulin, it's secreted by the pancreas, though it's secreted by a different cell population than insulin (alpha vs. beta cells). In some ways, glucagon opposes insulin. However, the role of glucagon in metabolism is frequently misunderstood in diet-health circles. Hypoglycemia. When blood sugar drops below a certain threshold, for example if a diabetic injects too much insulin, the brain senses it and initiates a response (the counterregulatory response) to bring glucose back up and prevent unconsciousness and death. Glucagon release is an important part of this response. Fasting. Glucagon helps support blood glucose levels during fasting, when glucose intake is zero, by stimulating the production and release of glucose by the liver. This sustains the brain, which has an absolute requirement for glucose (though it can derive some energy from ketones). High-protein meals. Protein stimulates insulin release as much as carbohydrate does (because one of insulin's jobs is to send amino acids into lean tissues such as muscle), but protein doesn't supply rapid glucose like carbohydrate does. If this process went unchecked, eating a high-protein meal would cause hypoglycemia because insulin release would suppress blood glucose too much. Glucagon release counterbalances insulin, preventing hypoglycemia when we eat a high-protein meal. This post will discuss the third scenario. If we're looking to reduce circulating insulin levels using diet, which is ostensibly the goal of certain low-carbohydrate diet strategies, reducing carbohydrate intake is only half the story. If we really want to eat low-insulin foods, the first thing to do is look up which foods actually elevate insulin following a meal. The data, published in a paper titled "An Insulin Index of Foods", may surprise you. This paper is free access. What we see right away is that high-protein foods frequently stimulate insulin to a similar, sometimes even greater, degree than high-carbohydrate foods, calorie for calorie. Beef and fish release as much insulin as brown rice. Pasta (white or brown) and porridge release less insulin per calorie than cheese, beef and fish. Donuts are only 25 percent higher than fish. According to the paper, the five lowest-insulin foods tested were (from lowest to highest) peanuts, eggs, bran cereal, white or brown pasta, and grain porridge. Doesn't sound very low carb, does it? People frequently cite glucagon to resolve this problem. The idea goes like this: glucagon is the opposite of insulin, and if they're released together, as they are when you eat a high-protein meal, then their effects on blood sugar, on hunger, and on fat metabolism cancel one another out in a way that they would not following a carbohydrate-heavy meal. If we're talking about blood glucose, this is correct. Glucagon does more or less cancel out insulin's effect on blood glucose, and eating protein in isolation does not lead to major changes in blood glucose. Regarding hunger, glucagon is often suggested to oppose the hunger-inducing effects of insulin. However, contrary to popular claims, insulin doesn't increase hunger or food intake in humans unless it causes frank hypoglycemia, so there is nothing to oppose (1, 2, 3, 4)*. Nevertheless, glucagon probably does play a role in satiety, independently of insulin. So that claim is partially true. Glucagon has a potent effect in isolated fat cells in the laboratory, but appears not to affect fat mobilization in humans in vivo. Glucagon probably does play a role in satiety (fullness). As with many other satiety peptides released by the digestive tract and pancreas, glucagon is sensed by nerve terminals that send impulses up the vagus nerve, and the signal is transmitted to the brain where satiety is perceived (10). In the case of glucagon, the relevant receptors are located in the liver, where glucagon mediates the majority of its effects***. Injecting glucagon decreases food intake, and blocking glucagon action increases food intake, though the evidence has not always been consistent (11). Protein, and to a lesser extent alcohol and fat, but not carbohydrate, lead to increased glucagon secretion following a meal (12, 13, 14). Increased glucagon secretion may be one reason why high-protein diets lead to reduced food intake and body fatness in overweight people, although other convincing mechanisms have been proposed****. The body's response to food is so complex that it's tough to predict large-scale (and long-term) physiological changes by measuring a single hormone, but it seems likely that glucagon plays a role. Whatever the mechanism, protein remains the most satiating macronutrient, and it does help with fat loss. In fact, recent evidence suggests that the ability of low-carbohydrate diets to promote fat loss and maintenance (relative to low-fat diets) may have more to do with increased protein than decreased carbohydrate (15), at least at a moderate level of carbohydrate restriction. It is known that high-protein, high-carbohydrate, low-fat diets are effective for fat loss, and this diet stimulates a large amount of insulin release (16, 17). In one particularly interesting study, increasing protein intake at the expense of fat (with no change in carbohydrate percentage) led to a spontaneously reduced calorie intake and substantial fat loss that was comparable or superior to what is typically observed in low-carbohydrate diet studies (18), particularly considering that the participants were only modestly overweight at baseline and were not even trying to lose weight. Both fasting and post-meal insulin levels remained unchanged throughout the intervention. None of these effects seem to involve the supposed influence of glucagon on fat cells, or anything related to insulin, although they could relate to the effects of glucagon on satiety. Depends at least in part on increased protein consumption. Probably does not require a reduction of insulin secretion, but may involve an increase of glucagon. Probably does not involve direct effects of glucagon on fat cells, but could relate to glucagon's effects on satiety, and perhaps other effects in the brain. Beyond the metabolic/hormonal effects of low-carbohydrate or high-protein diets, these diets may also be effective because of changes in the reward and palatability value of the diet (and food variety, a related factor). Getting rid of pastries, donuts, soda, fries, and pizza goes a long way, and taking one or more items off the table (e.g. bread) tends to reduce total food intake even if everything else remains the same. The potato-only diet is a good example of this (19, 20). Over on Mark Sisson's forum, a number of people have been repeating Chris Voigt's experiment of eating nothing but potatoes, with similar weight loss results (21). To be clear, I'm not recommending this approach, but it certainly illustrates the power of a monotonous diet. Interestingly, besides being extremely filling per calorie, potatoes are also one of the most insulin-stimulating foods, according to the paper cited above. * I am aware of one older study where increasing insulin did lead to hunger and increased food intake independently of hypoglycemia. That paper had the least convincing study design, but I included it for completeness. It's the last of the four references I provided. ** They also have much higher levels of GLP-1, which may be a compensatory adaptation, and probably plays a role in the overall phenotype. GLP-1 is an incretin hormone as well as a satiety hormone. Incretins are a group of peptides that stimulate insulin secretion. This is the problem with knockout mice in general-- when you get rid of something completely from birth, it can trigger compensatory adaptations that make the resulting phenotype difficult to interpret. *** When glucagon is secreted, it goes to the liver first. Glucagon concentrations are much higher in the hepatic circulation than in the general circulation, which is one of the reasons why it's thought to act primarily in the liver. However, Dr. Tony Lam's lab has shown that it also acts directly in the brain to regulate blood glucose. **** The amino acid leucine, increased on high-protein diets, acts in the hypothalamus on mTOR and AMPK pathways, which regulate energy homeostasis (21). AMPK and mTOR are the cell's primary energy sensing pathways, sort of like leptin and insulin are the primary energy sensors on the organism level. This mechanism seems to be at least partially responsible for the ability of high-protein diets to improve body composition (lower food intake, lower fat mass, and higher muscle mass) in rodent models. Very nice! You'll probably get hammered for conclusion #1 because in the few studies where ad libitum intake was assessed before and after a LC intervention, the absolute amount of protein the subjects consumed changed very little (or may have even decreased slightly). But they eat less overall of a more protein rich diet. This is one of the problems with conventional reducing diets basing protein on % rather than grams, especially at caloric levels necessary for weight loss in most women. Interesting that 2 major hormones are basically "taken out" by the liver very quickly after synthesis and release, and the rest of the body may "see" far less than the liver does. It seems to me that glucagon release during high protein (and therefore insulin releasing) meals would act in the liver to keep blood glucose stable. I'm inferring this from insulin being high, which would lead to more glucose being taken into the cells. This assumes that insulin is free to act on blood glucose and is not taken up (in some way) by delivering protein to the cells. Am I right in this? Thanks for another enlightening post! Good post Stephan. I have the "Insulin Index of Foods" table on my wall. I don't look at it very much though. The figures on it are certainly not what many people would expect and emphasize the fact that fat gain is not all about circulating insulin levels. I tried to access the article but could only read the abstract. "The glucagon receptor knockout mouse is actually lean and resistant to diet-induced obesity"
"blocking glucagon action increases food intake"
I think when evaluating effects of hormones on hunger, we have to consider factors like insulin resistance and insulin transport into the brain. An effect seen in a healthy young person is likely different from an effect seen in someone whose effective brain insulin levels were low because of transport problems or IR. And people with metabolic syndrome, the very ones who need to lose weight, are likely to have IR and maybe transport problems, so prescribing for them on the basis of a healthy person can be counterproductive. BTW, decades ago, I read in the Times that eating nothing but potatoes and milk is actually a pretty healthy diet, so, because I had an Irish grandmother, I tried it for a week. I figured if you had a cow and milk, you could also make cheese. There are so many different ways of preparing potatoes that I never got bored with the diet and was almost sad when the week was over. Point #2: "Probably does not require a reduction of insulin secretion, but may involve an increase of glucagon." seems fair, but wouldn't it also be fair to state that a low-carb diet typically (usually) does reduce insulin secretion by a decent amount? Eggs, cheese, beef, and (sometimes) fish are lower on the insulin release scale than many 'healthy' items considered part of a normal diet: yogurt, potatoes, breads, beans, cereal, and fruit. the rate limiting step for fatty acid use is not lipolysis, it's re-esterification. so even if glucagon "blocks the effect of insulin" it don't make no nary difference - there's enough circulating NEFA such that the glucagon-released fat will NOT make one "burn more fat". You say that high-protein diets is conducive to fat loss. Any thoughts on why the opposite has consistently been observed in population studies (ie protein intake is inversely correlated with BMI and fat mass)? Sorry, I meant protein intake is _positively_ correlated with BMI and fat mass. Nobody who stoicly follows a truly low carb regimen eats a high protein diet. At least unless some dietition set them up to fail. Additionally consuming a HIGH amount of fat with any food, be it white flour such as in a traditional tortilla, or with a peice of fish, reduces both the glycemic index and insulin response greatly. Unfortunately nobody in the real world eats just "one food at a time" usually but puts together a few well thought out food combos on a plate. So if your goal is to dispell the idea that low carbers are not controlling insulin with their high protein diets, congrats, which is why the low carb community abandoned high protein diets over a decade ago. Now with blood ketone testing in use its even more obvious, and protein is restricted even further. This is a great article about a tree but I prefer to view the forest. Yes, the percentage is one issue, but the other issue is that most LC diet studies didn't use accurate measures of food intake. The reason I like the Weigle et al study (#18) is that they provided all food and therefore had a very accurate accounting of protein intake. Absolute protein intake probably didn't change much due to the spontaneous decrease in calorie intake, but the % doubled. Yes, KO mice can have weird phenotypes due to compensation. The glucagon receptor KO has very high GLP-1 for example. Yes, I would expect a typical LC diet to reduce insulin secretion, though not necessarily by much, depending on how it is applied. Good point. It's possible that this is due to residual confounding because people who eat less meat tend to be more health-conscious. Food frequency questionnaries aren't particularly accurate at assessing meat consumption. The other possibility is that high-protein diets are useful for fat loss but do not promote leanness in people who are already lean. Things may well be different when you enter the very low-carb range and ketosis becomes an additional factor in the mix. You linked data suggesting that protein was the most satiating macronutrient, at least in the short-term, but is this true in the long-term over months rather than hours? I did a high protein, ketogenic diet for a few months and went from no appetite/weight loss for 3 months to ravenous hunger and weight gain afterwards. Hunger and weight gain only subsided after I reintroduced starches. I'm curious if this is a common phenomenon and, if so, if the satiating power of protein is multi-factorial and dependent upon other factors and other macronutrients in the diet (eg., a high protein ketogenic is worse long-term than a high protein, moderate carb, fat diet)? "the macronutrient changes in the LCHP diet used here mimic the diets commonly used in humans, where reduced carbohydrate intake is generally accompanied by increased protein and fat intake. Interestingly, multiple results in mice on the LCHP diet paralleled those reported in clinical trials including reduced weight gain without significant changes in serum lipids or other markers of cardiovascular risk (10, 11), further reinforcing the potential relevance of this model. Exacerbated atherosclerosis occurred on the LCHP diet independent of significant alterations in traditional atherogenic serum lipids, serum inflammatory markers and histological indicators of inflammatory infiltration. We did detect a significant increase in serum NEFA levels on the LCHP diets (Table 1) but this was not correlated to an increase in serum measures of inflammation. Importantly, there was no evidence of increased leukocyte infiltration in plaques from mice on the LCHP diet. We did not detect a significant difference in either circulating oxLDL or tissue markers of oxidative stress. Together these data suggest that neither an increase in the inciting signals nor in the inflammatory cascade are responsible for the increased atherosclerosis seen on the LCHP diet when compared with the similarly high-fat WD. Although caution is warranted in extrapolating from such animal studies, these data at least raise concern that low-carbohydrate high-protein diets could have adverse vascular effects not adequately reflected in serum risk markers. Moreover, these observations demonstrate important pathophysiological vascular effects of nonlipid macronutrients that are dissociated from weight gain. These features provide a unique model for understanding mechanisms of atherogenesis and neovascularization that may have implications for efforts to combat obesity and reduce its complications." note of caution against reliance on the traditional cardiovascular risk factors as a gauge of safety." My partner has been dieting for over a year. She has used ad libitum Atkins, protein-sparing with restricted fat and carbohydrate, calorie restriction, and intermittent fasting at various times. Not that she knows that this is what she's been doing as she would never bother to read a diet blog (she read the first Atkins book decades ago is all). All of these strategies have worked for her. Any time she gets tired of a diet or plateaus or feels malnourished she switches tack and eats a different way. She's lost over 10 Kg so far and doesn't gain easily when she relaxes. No seed oils, no sugar (plenty of fruit), no refined grains (but a little wheat). No exercise per se either. Fit as a fiddle. Cheerful too. Plainly there is more than one way to skin a cat. So between support for a LC diet and a High Protein, High Carbohydrate diet, deductive reasoning would suggest that Fat is one dietary element we can do without. You have written so many good things about fat: fat soluble vitamins, whole milk, no link between SFA acids and heart disease and much more. However, if I go through the posts of the last few months, I haven't heard many good things about fat. Is less fat therefor always better? Anyone (like myself) with reactive hypoglycemia can confirm how important the balance between insulin and glucagon is. Hopefully the chromium I started taking makes a difference. Purely my own hunch from my observation, but it seems to me that once someone is losing fat weight they are oxidizing fat and shouldn't need that much in the diet. As long as they avoid eating sufficient carbohydrate to prevent the oxidation. The key is to be properly nourished first. If the body has stored ample minerals, protein, fat-soluble vitamins, water-soluble vitamins (which are in fact stored or recycled to various extents), EFAs (and this may not be the case if one gained on empty calories and additives), then going without will be less stressful. One might need to stop every now and then to top up on these essentials, and many will need a high-fat VLC diet to start oxidising stored fat in the first place (and some to keep doing it, but not everyone). Well that's just one way it might work. Not a plan you hear much about today but seems to have been practiced in the past, I think I read something like this in a Gaylord Hauser book. First of all, Thank You, Dr Stephen Guyenet for your time and effort in sharing this information with us. Great post! It seems to me that at least part of what is going on here is that the requirement for protein is less related to how much food one eats but rather to how much lean mass one has to maintain. As a result, it is best described per lean mass rather than as a proportion of calories. So, if one is losing weight, one has to restrict calories, but if one is to maintain the same lean mass, one has to not restrict protein. The only way to do this is to increase the proportion of calories as protein. But this is not so much increasing protein as maintaining it, when one expresses it more aptly as a proportion of lean mass rather than as a proportion of food eaten. It seems, then, that these satiety signals are designed to make sure we get adequate protein (and adequate amounts of the other nutrients). It would be interesting to look at the range of the linearity of the response of satiety to protein. Perhaps it is the most satiating macronutrient at intakes within the optimal range of intake. Does this continue to be true when one eats two or three times as much protein as can be used to support lean mass? Regardless, I think part of why higher proportion of calories as protein supports favorable body composition in weight loss is because the need for protein remains just as high regardless of calorie restriction. However, looking at the range of linearity of satiety response would be an interesting test of my perspective that this phenomenon is related to its effects on satiety. My recent experience anecdotally corroborates the study you discuss here (the increased protein/reduced fat combo on appetite etc). I'm a normal weight 28 yo female who loves yogurt. I tend to eat 1% balkan-style yogurt, but I recently began consuming 0% Greek yogurt. The latter seems to suppress my appetite. I have not reduced my carb intake, nor do I restrict carbs (I feel better with a minimum 60-90 g starchy carb per day; in addition to other carb sources, such as the yogurt). I have been loosing weight as a result of my decreased appetite, I think. Technically my protein intake has increased and my saturated fat intake has decreased. This would align with what has been suggested and tested by that study. Mind you, I do not need to be loosing weight and I did not start out overweight. So this would extend the findings of that study to normo-weight individuals. You may already know that heart disease is mainly caused by damage due to oxidation, and inflammation. Although this is widely accepted in the medical community, many professionals still focus on another heart disease factor: cholesterol. The insulin index, that's on 240 calories, I have to wonder how that scales--a carb and a protein food that have the same insulin response at the 240 calorie level might differ if you bring that up to 400 calories, or down to 120--with protein, that would still be a reasonable amount of protein for a meal. With the glucagon receptor knockout mice--Taubeses old glycerol-3-phosphate argument comes to mind, there's lots of overlap in the glyceroneogenesis and gluconeogenesis pathways, is it possible this becomes a factor? Doesn't have to be a factor in the real world to be one in knockout mice. Subjects were fed 1000-U portions of the test foods in a random order on separate mornings after a 10-h overnight fast. Within each food group, each subject acted as his or her own control, being tested at the same time of day and under as similar conditions as possible. Subjects were asked to refrain from unusual activity and food intake patterns, to abstain from alcohol and legumes the day before a test, and to eat a similar meal the night before each test. When subjects arrived at the lab in the morning, they completed a short questionnaire assessing recent food intake and activity patterns. A fasting finger-prick blood sample was collected and subjects were then given a test food and 220 mL water (0 mm). When possible, foods were presented under a large opaque plastic hood with a hole through which volunteers pulled out pieces of the test food one at a time. This was an attempt to minimize between-subject variation in cephalic phase insulin secretion arising from the sensory stimulation associated with the anticipation and act of eating (27). However, this was not feasible for the liquid foods (yogurt and ice cream), foods served in a sauce (baked beans and lentils), or with milk (all of the breakfast cereals), which were presented in standard bowls without the hood. Wouldn't combining milk with cereal change the speed of digestion? And digestive speed would surely effect insulin response, right? You're right that protein needs really depend on lean mass (as well as how much and what type of exercise you do). 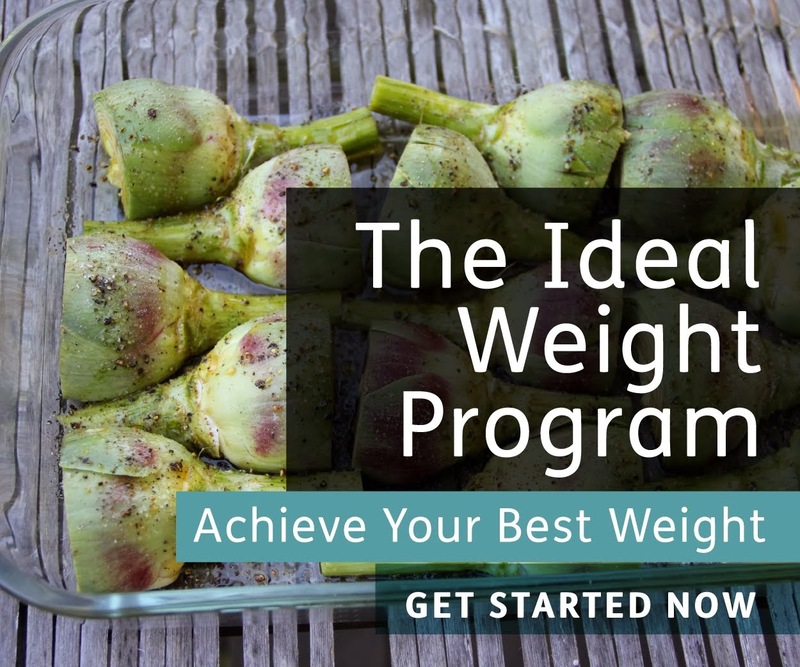 We're about to roll out some important changes to the Ideal Weight Program, and one of them is a chart that gives individualized daily protein targets. The calculations I used for these targets are based on estimates of lean mass, multiplied by the amount of dietary protein per kg lean mass that has been shown to increase satiety and weight loss in long-term trials. The amount of protein that increases satiety and speeds weight loss is far beyond what you need to maintain good body composition and health on a regular weight maintenance diet. It does not appear to be a simple linear relationship: more protein = more satiety. High-protein diets increase satiety, but low-protein diets do not seem to decrease satiety or result in increased food intake over time. I think one of the reasons protein helps with lean mass maintenance with dieting (beyond just keeping the absolute amount of protein adequate) is that it provides an anabolic stimulus that is somewhat specific to muscle. Being in negative energy balance, as you are when you're losing weight, is a strongly catabolic stimulus affecting all tissues. Keeping protein intake high seems to partially 'rescue' muscle from this catabolic state. Chicken breast, 3.5 oz = 30 grams protein = 120 calories. If we can go for 30% of calories from Protein, then assuming we need 2,000 calories a day to get a 500 calories negative from the "Normal Person" 2,500 balanced daily calories, then we need about 600 calories from Protein. and in the case of the 3.5 oz Chicken breast we can consume 6 x 3.5 oz = 21 oz of Chicken breast, If you are in Europe then it is equivalent to asking your butcher for 600 grams of Chicken breasts for 1 day, or 1.3 pound . Just to get the idea of how much that is - take a look at this video where they cook 600 grams of chicken breast. Sometimes I feel that people just disconnect when they talk about grams of protein and calories and not really getting the grip of how much exactly that is in term of portion size. Another excellent piece. Every time I read your work I come away with more knowledge and a better perspective on obesity and appetite control. This piece was extremely thought-provoking. Thank you for another excellent read! Nice post Mr. Stephan. I am abstaining from taking sugary drinks these days and doing lots of morning workouts. It's really working. I lost 4 kg in just 3 weeks. Stephan, the authors of your ref 18 have something interesting to say about how protein increases satiety: more insulin! This is off-topic but an interesting study just came out of Denmark linking incident T2DM with psoriasis, an inflammatory skin condition, in a prospective cohort of 4.6 million Danes over a 13 year period. The hypothesis proposed is that the inflammatory process associated with psoriasis may contribute to the incidence of diabetes. Stephan, Regarding your reference 18, the increased satiety observed on the 30% protein diet compared to the 15% protein diet may have been due largely to the increased dietary protein, but two to other factors also may have contributed to the decrease in food intake in the high protein diet. First, it seems to me that both diets were unpalatable, but the non-fat milk, egg whites and low fat cheese included in the high protein low fat diet were particularly unappealing and would make anyone lose weight even if they did not need to. Both diets appeared to be deficient in fat soluble vitamins and omega-3 fats. Second, the high protein diet contained much less polyunsaturated fat than the 15% protein diet (3.9% vs 9.9% of energy)so the endocannabinoid level in the high protein diet was most likely much lower than the moderate protein diet. The appetite suppressing effects of leptin in the moderate protein diet would therefor be attenuated by the higher endocannabinoid content. 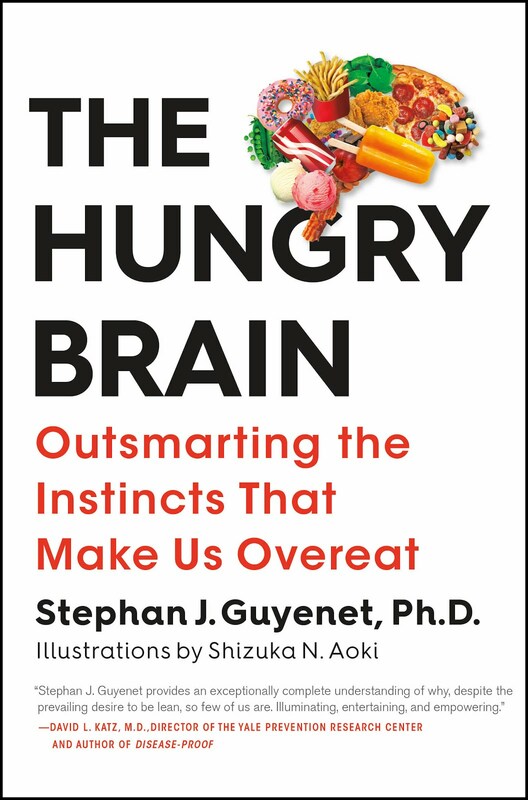 My primary interest at the moment is what causes people to not experience hunger first thing in the morning - and often (especially if distracted or avoiding the stimulus for hunger such as the smell or sight of food) do not experience hunger for a number of hours. When we awaken, our body is in a fasting state - with elevated glucagon and decreased insulin. Whilst this is a given, not much seems to have been done on the study of glucagon levels in relation to appetite suppression... I shall read into this further. Thank you for the lead! My understanding is that Glucagon and Insulin work together to keep blood sugar stable in normal people eating a diet relatively balanced in macro nutrients. But if a person constantly eats a diet with too much carbohydrate (and that is different for each person), then whatever is not burned or stored as glycogen is stored as fat. How is that not so? Yes, eating excess calories as carbohydrate leads to fat storage. So does eating excess calories as fat, and even as protein. Dietary fat doesn't have to be converted to fat prior to storage-- it is already fat. Really enjoyed the article and plan on following your blog from now on. I was tempted to go on a high protein low carb diet and now I feel I can do that with confidence. My wife is also hypoglycemic so this information will be very helpful to her as well. For a normal person who has No clue what you are talking about, does a low-Carb, high protein diet help you lose weight or not! I'm about to try a lchp diet but now I'm confused after reading all of this. Tim from San Diego Ca. Was quote excited until I saw that one of the studies (ISRCTN42106325) was funded by Dutch food company, albeit a public/private one. Will still give it a thorough read through. Hi everyone, I have cirrhosis due to scarring from cleared HepC virus and I have a severe problem with hypoglycemia. I am very interested in your thoughts on the possibility that my problem is linked to my liver's inability to produce or circulate glucagon. I have been investigated for inulinoma and Edwards syndrome, both negative. Specialists are puzzled and I am managing by frequent BSL testing and diet. High insulin levels reduce plasma levels in certain fatty acids which are responsible for activation type neurotransmiters. This is believed to be why high carb meals have a seditary effect. Hightened protein intake could alow more of these fatty acids to pass the blood brain barrier neutrolizing the effect. higher levels of activating neurotransmitters would raise activity level, resulting in more calories burned. Hey Julie P, production of Glucagon hapens in the Pancreas. The Livers role is to store and release Glycogen, Glucagon being the hormone responsible for release. Your Hypoglycemia is, in my opinion, likely due to your Cirrhosis. You should have a medalert bracelet stating that you are Hypoglycemic. Patients with cirrhosis often have low Glycogen stores, meaning glucogon injections will likely be ineffective. Hepatic diabetes, as some call it should be discussed. Insulin Autoimmune Syndrome is another possibility associated with cirrhosis. If Liver involvment is ruled out, which I doubt, I would bring up the possibility of a Glucagonoma as some cases present with Hypoglycemia. Addisons is a possibility, but unlikely. I guess the best advice I could give you would be to not rest until they give you a difinitive answer. Ask to speak with your Hepatologist, and dont let them tell you that you dont need to because it is unrelated. Something is wrong and treating the symptoms accomplishes nothing long term. Iv done some research on the matter, and I believe you should speak to your Hepatologist ASAP. The root cause of your Hypoglycemic episodes could be Glycogen depletion. I'm not a Hepatologist, so I won't dig too deep into the matter, however I think your specialist will be very interested to know what is going on. I realy hope these messages get to you, and im very interested to hear how things go. Hope you get your answer soon! Here's how I see it: A high insulin to glucagon ratio synthesizes triglyceride from free fatty acids and inhibits its release as well as inhibits gluconeogenesis. A high glucagon to insulin ratio stimulates the release of free fatty acids from triglyceride to be used as energy and mobilizes gluconeogenesis. When you eat protein, you see a rise in BOTH insulin and glucagon, yet when no carbs are present glucagon (and other systems in the body -- adrenergic for example) OVERRIDES the insulin response of the protein to at least two net effects -- fat is still mobilized for energy and gluconeogenesis still occurs to keep you from being hypoglycemic (http://www.nutritionandmetabolism.com/content/3/1/9). THIS is why it is so important to keep your insulin to glucagon ratio LOW in order to prevent fat gain. Of course what do I mean by "LOW". Since we know that a low-carb, adequate protein, high-fat diet causes net lipolysis and a high-carb (but whole plant foods/high fiber based), adequate protein, low-fat diet (a la 80/10/10) ALSO causes net lipolysis, it is safe to say that if you just eschew all the man-made refined carb GARBAGE out there and eat a majority of real one-ingredient foods, you will lose weight while maintaining (or even gaining) lean mass on EITHER diet/lifestyle. It is the quality of the CARBS that can be the solution or the PROBLEM. Is it the protein in and of itself that kills hunger and keeps you full? My experience with the pure protein that comes with NO fat says that it isn't. I can drink a protein shake of 30 grams of protein with zero fat and there isn't a bit of satiety for more than an hour. I add a tablespoon of any kind of liquid fat and all that changes. How can that be explained? I would love your help. Five years ago, a doctor gave me oral bioidentical progesterone. She said it would go through the second pass of the liver and give me wonderful sleep. Yes, it did for a while, but it produced a problem which I am still battling today even though I went off the medication after a few weeks. I think the medication harmed my liver. I must eat every 3 hours now, even at night. This is because I cannot sustain my blood sugar longer than 3 hours. It drops to 80 and rarely lower, but when it does drop, I feel shakey, very weak. I keep going by eating every three hours some protein and some carbs. 1. What is going on do you think ? 2. I have been to 5 endocrinologist and they are clueless. But one told me that I was having problems with my glycogen stores. Do you think there is something to this ? She wanted to increase my carbs significantly (not a good idea for someone with A1C of 6.1 and rising) and take steroids (not good idea for someone who is hyper-reactive/sensitive to foods, supplements, meds. ). 3. If the problem is glucagon storage, what can I do to help myself ? Help !! Your input would be appreciated. This is fascinating stuff. I stumbled here looking for information on what could trigger insulin production other than carbohydrate consumption for a friend who may be experiencing hypoglycemia. But I have a daughter with Type 1 diabetes. She is young, but adults often suggest she go on a low or no carb diet in order to reduce her need for injected insulin as much as possible. While we reduce carbs to reduce spikes, I have always considered it potentially misguided (for a growing child, at least) to consider more insulin bad and less insulin good, irrespective of other factors. In reading this, I am wondering what the uses of insulin are besides shepherding the glucose out of the bloodstream into the cells. If those are necessary functions, it seems like reducing the overall insulin to as close to zero as possible might mean some processes are being shortchanged. High protein & ketogenic are not simpatico. By definition a true ketogenic diet is at most "moderate" protein...up to 20% of total calories. One cannot produce much blood ketones in the presence of high insulin, which is what occurs with a high protein diet.